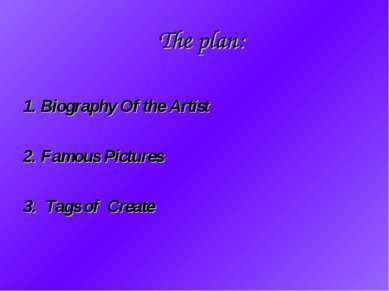 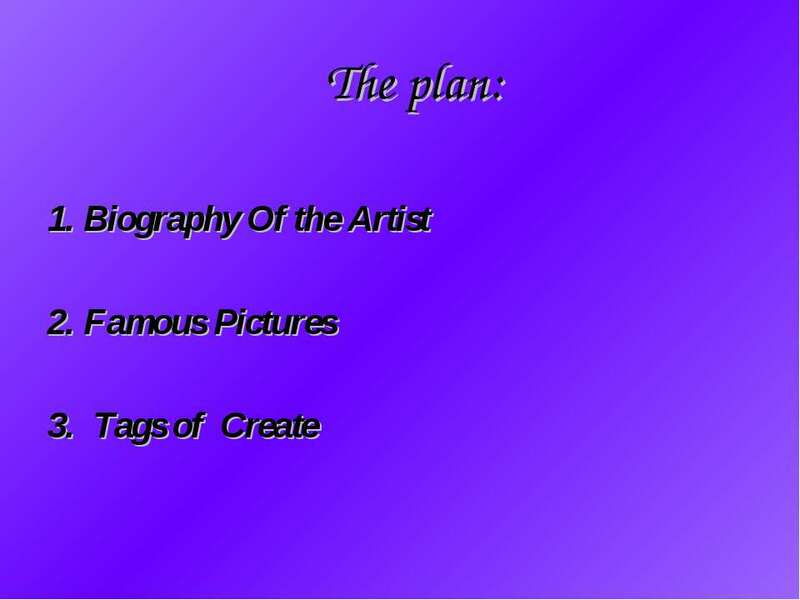 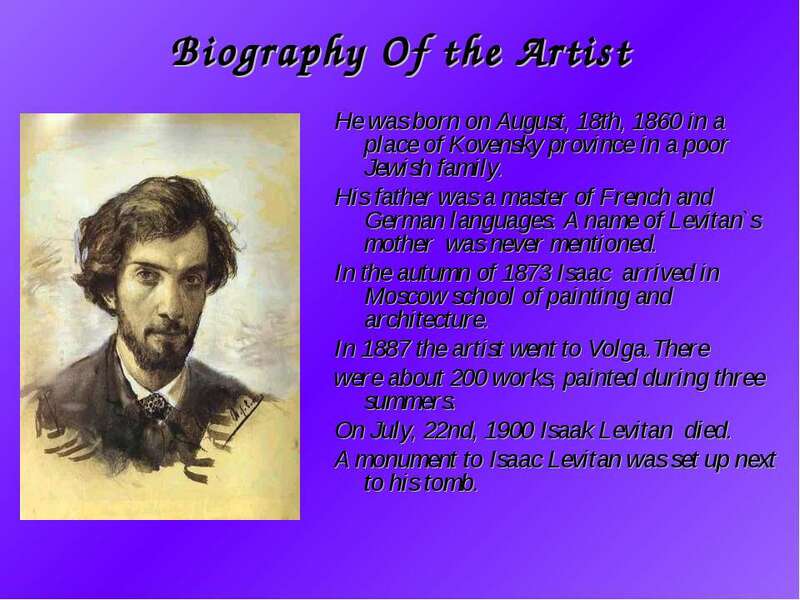 Biography Of the Artist He was born on August, 18th, 1860 in a place of Kovensky province in a poor Jewish family. His father was a master of French and German languages. A name of Levitan`s mother was never mentioned. 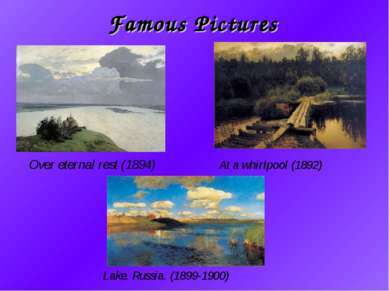 In the autumn of 1873 Isaac arrived in Moscow school of painting and architecture. 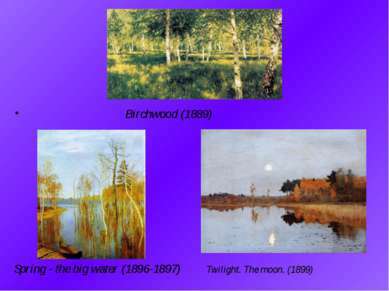 In 1887 the artist went to Volga.There were about 200 works, painted during three summers. On July, 22nd, 1900 Isaak Levitan died. 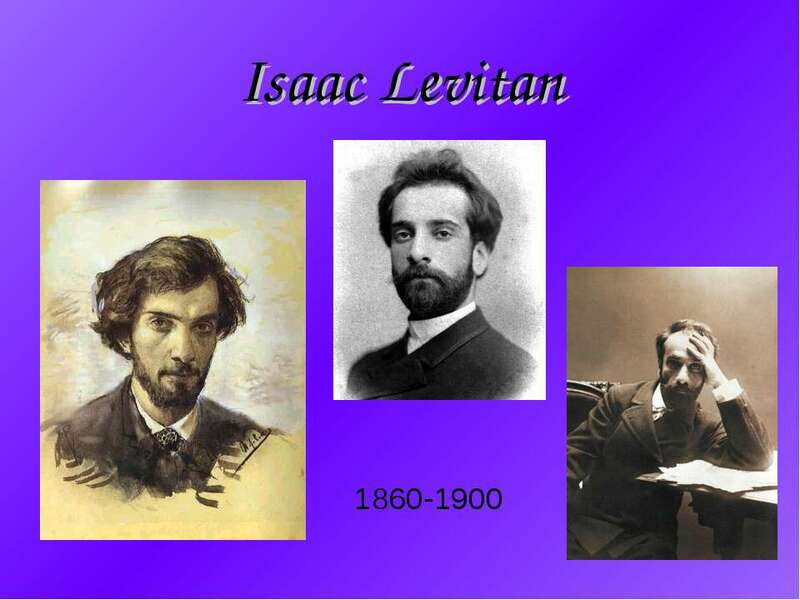 A monument to Isaac Levitan was set up next to his tomb.